Some credit cards only charge you for using their product. But others give incentives for the amount of money you spend with their card. Credit cards rewards come in different forms, but they all give you a benefit for using your card more. In general, you earn a certain number or percentage of rewards for every dollar you charge on your credit card. Some cards reward you more for spending in certain areas or may only give you rewards on certain purchases. Rewards generally fall into one of three categories: cash, points, or miles. Cash rewards are the most straightforward and easiest to use. However, cash rewards cards don't always pay you in cash. Some programs only allow you to redeem your cash rewards as a credit to your account (note these credits don't typically count as payment on your account). Others will send a check or make a deposit into your bank account when you want to redeem your reward. Or you may be able to redeem your cash rewards for gift cards with your card issuer’s merchant partners. You’ll generally have to redeem your rewards in certain increments, like $25, or with a specific minimum. Point rewards are given based on each dollar you spend—for example, one point per dollar. Points can typically be redeemed for merchandise in the reward program’s online shopping mall. Depending on the card issuer, you may also be able to redeem your points for gift cards, cash, or even travel. Redeeming your points for gift cards may give you more bang for your buck since many merchant partners give you 10 to 20% off the gift card price. Examples of points rewards cards include auto rewards cards and hotel rewards cards. Miles or travel rewards cards reward you with miles that you can redeem for airline tickets. The number of miles you can earn varies by credit card and the number of miles you need to purchase a flight varies by frequent flier program. You may be able to convert miles between programs, but you may lose some points in the conversion process. You can use rewards for a variety of things. The cash rewards can help reduce your credit card balance. Travel rewards can help you earn free trips for yourself and your loved ones. You can use rewards to purchase holiday and birthday gifts. You can also invest the rewards you earn. For example, the Fidelity Investment Rewards Signature Visa puts your rewards into an investment account. The Wells Fargo Home Rebate Card uses your rewards to reduce your mortgage. You might earn a set number of rewards for every dollar you spend. Or you may earn a smaller amount of rewards for the first dollars you purchase during the year and a larger amount of rewards once you reach a certain threshold. Still, other credit cards pay higher rewards on certain categories and a smaller reward on all other spending. 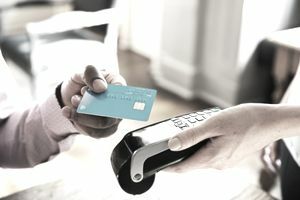 The best reward credit card programs are only available to consumers with the best credit scores. If your credit score needs improvement you may not qualify for any reward credit cards. Rewards cards often have higher costs than other credit cards. For example, annual fees are common with rewards cards, sometimes as high as $200 or $300. Not only that, rewards cards typically have higher interest rates than other credit cards, which means you shouldn’t carry a balance on a rewards card. Reward programs are far from simple. For example, a program may promise to reward you 5%, but make sure you look for the asterisk that points you to small print letting you know you don’t earn that 5% reward until you’ve spent a minimum of $3,000 on your card in a calendar year. There may be restrictions, caps, minimum redemption amounts that make it hard to redeem your rewards. Credit card issuers might also change their rewards program without warning, so make sure you read everything that comes with your billing statement. Not all rewards are forever. Some reward programs expire your rewards if you don’t use them within a certain amount of time. The best reward programs don’t let your rewards expire, but most programs will forfeit your rewards if you fall behind on your credit card payments. Besides the fine print, debt is another thing you have to be aware of with rewards credit cards. If you’re always chasing rewards and bonuses, you could rack up a credit card balance that you can’t afford to repay.